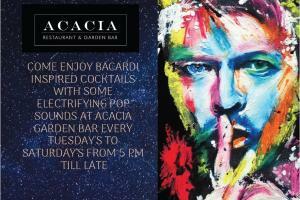 Win a voucher for 2 person at the Acacia bar! Enter the draw** to win and enjoy a $50.00* voucher for 2 person and redeem at the Acacia bar only. All you need to do is share this post with your neighbour and start to follow us on Neighbourly. You will automatically enter the draw to win! *Terms and condition apply. Offer valid until 30th of April 2019. R18 applies. Voucher can not be exchange for cash or be used with any running promotion. **Draw finishes on Monday 8th of April! Does anyone else feel that our beautiful waterfront beaches, Okau, Mission Bay, Kohi & St Heliers are neglected by Council? Any time I get the opportunity to go to the beach it is always covered in seaweed. Does Council ever clear the beaches of seaweed and surely in the height of summer this should be an almost daily job considering many tourists access these waterfront beaches. Am I being unreasonable? Do you think Council should be collecting this seaweed and selling it as garden compost?